Honda's recent EV announcement could be a harbinger of doom for CHAdeMO. Honda is currently selling a fuel cell version of the Clarity in limited regions and quantities. 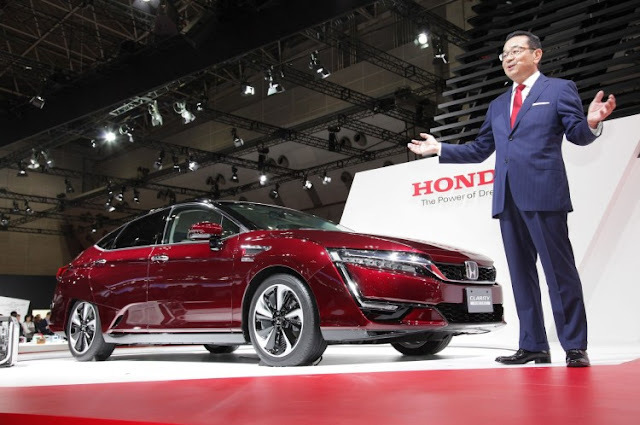 At the New York Auto Show this year, Honda announced a pure electric and a plug-in hybrid version of the car would soon go on sale. According to Automotive News, the upcoming electric Clarity will only have 25.5 kWh of battery capacity for about ~80 miles of range. If true, that’s a big nothingburger. In a world with the Chevy Bolt and the (coming soon) Tesla Model 3, an EV with less than 100 miles of range is not much to get excited about. This would have been noteworthy in 2011, but now, it's uninteresting. To add insult to injury, Honda says its target price for the electric Clarity is $35,000. This is in the same price range as the Bolt and the Model 3 which each have more than double the range. You would have to really love Honda to buy an 80-mile EV when you could get a 215+ mile EV for the same price. Honda has not been enthusiastic about EVs, so a lackluster offering is not surprising. The big surprise, for me, was something in the details of the press release. It was that the DC fast charging port on the Clarity was a CCS port. Honda's previous EV the Fit EV didn't have a DC fast charge port. Honda's Japanese brethren (Nissan and Mitsubishi), as well as South Korea's Kia, have selected the CHAdeMO port for their plug-in vehicles. The market does need to eventually converge on a single charging standard. And if Japan's automakers cannot stand together to support CHAdeMO, this might be the crack in CHAdeMO armor that causes its eventual fall. If the EV market continues to grow, as I believe it will, Honda will continue to offer more EVs. Eventually, they may make something beyond a mere compliance car. If they do make an EV that people are actually interested in buying, and it has a CCS port instead of CHAdeMO, this would add significantly weight to the CCS camp. Continuing with Beta and VHS is not a long term solution. If the market did converge on CCS over CHAdeMO. 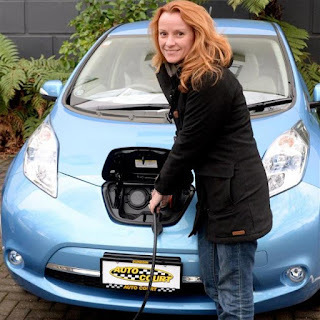 Then Nissan and others in the CHAdeMO camp would need a migration strategy. To transition to CCS, it would not be easy. They would need to switch after a large CCS network had been deployed. Perhaps by the VW settlement funds. Next, they would need to wait for a major product refresh, the next gen Leaf for example in Nissan's case. The last piece of the puzzle would be an adapter. Adapters would allow cars with CCS ports to use CHAdeMO stations and vice-versa. This would allow customers to use the DC fast charging regardless of the infrastructure deployed in their area. The "final" unveiling of the Tesla Model 3 is planned for July of this year. We will finally get to see all the details. This is when the design studio is likely to open too. When it does open, there will be many decisions to make. What color paint, cloth or leather... We'll get to see all the prices for upgrades. Do you want dual motor all-wheel drive? If so, you'll have to wait an additional 6 to 9 months to get your car as all the initial vehicles will be rear wheel drive only. Making only rear wheel drive initially is one of many things that Tesla is doing to streamline the introduction of the Model 3. Tesla is trying to make the cars as fast as they possibly can to meet the huge number of pre-orders. They are going for the "keep it simple" method; this means there will be fewer options initially. As part of this, there will not be a performance version of the car initially. This will come later, soon after or with the dual motor option. Another step that Tesla is taking to speed up Model 3 production is making inventory cars. These are not built to any one person's specifications. Instead, they will select the popular options and colors and build these cars for their stock. If you select an inventory car, instead of placing a custom order, you may be able to receive your car sooner. How will these efforts to speed up production impact the battery pack? The battery pack options are not specifically known, but we have some clues. There are likely to be two capacity options. Elon Musk tweeted that 75 kWh was the largest size that will currently fit in the Model 3. Additionally, Tesla’s Vice-President of Investor Relations, Jeff Evanson, has said that the small pack size will be less than 60 kWh. Taken together, these two statements have led many to believe that the large pack will be 70 or 75 kWh and the smaller pack will be 55 or 60 kWh. Considering that Tesla is trying to accelerate production as much as they possibly can, it might make sense to only produce the larger pack. 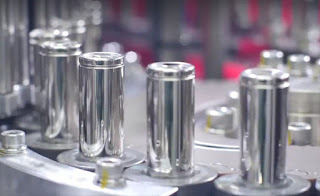 We have seen several examples of Tesla selling software limited battery packs in the past. They did this for the 40 kWh Model S at its launch and more recently with the 60 kWh Model S. It is possible that they do it again with the initial roll-out of the Model 3. A software limited pack will simplify Model 3 assembly and give Tesla a future revenue stream. Not only would a single physical pack simplify assembly, it would give Tesla a future "in app purchase" revenue stream. Many first time EV buyers will be taking delivery of these Model 3s. One thing that we know is that once people start driving an EV, many of them fall irrationally in love with the experience. And that will mean they will be driving these cars on road trips and vacations. And eventually, many of them will want more range. If the pack is software limited, they'll be able to login to their Tesla account, pay for the upgrade, and bingo - they can drive farther. Plus, the next time they are in the service center, their car gets rebadged. If Tesla were to do this, there is a risk. If people don't upgrade, then they have put 15 or 20kWh of batteries in thousands of cars that could have otherwise been used to sell more cars (or PowerWalls), but Tesla has never been afraid of risk. This move will make the buyers happy because they will have an upgrade path and it will potentially make Tesla more money when people upgrade. It's a win-win and I hope that Tesla does it. 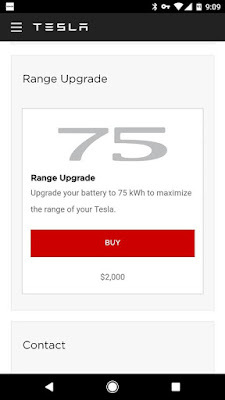 If Tesla goes this direction, how much would it cost to upgrade from a 60 to a 75 (assuming those are the pack size options)? Upgrading the Model S 60 to 75 was initially $9,500; soon after the price reduced to $6500, and on the day this article was published (April 17th, 2017), Tesla reduced the price to a mere $2000. And this was before Tesla started using the more affordable 2170 cells. This further supports the idea that they are considering a single pack for the Model 3 and they are bringing the Model S upgrade prices in line. This is $133 per kWh and would make the price of a 15kWh upgrade about $2000 and a 20 kWh upgrade about $2500. This is an affordable upgrade for many. And it would be the perfect way to spend the 7500 additional dollars in your tax return. I hope we'll all find out in July (or sooner). If you drive an electric car for your everyday get-around-needs, then plugging in and charging up is a necessary part of your daily ritual. This means the experience you have while charging is an important part of your EV ownership satisfaction. 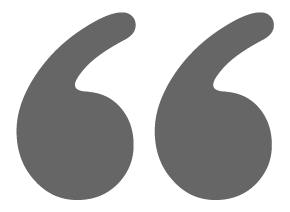 When and where you charge, how long it takes, and the amenities available to you, while you wait are all vital components of this experience. The EV charging network membership, availability, and reliability are additional important factors in the satisfaction of the experience. Most EV charging is done at home, in your own garage, overnight. With this type of charging, there is no hurry, the car will be there for hours. This is the most convenient type of charging. There is no membership card. It's your personal parking spot with a dedicated charger. And you have all the amenities of hearth and home. Other than the charging rate, this is the perfect charging experience; as good as it gets. When you are on an EV road trip, things are different. Unless you are stopping for the night, you don't want to wait for hours while you recharge. Fast charging is a requirement. The faster, the better; especially as battery pack sizes increase, charging rates must also increase. Other than charging speed, the mid-trek EV charging experience should be as much like home charging as possible. When you're traveling and you need to charge, you want a parking spot without waiting, you want to plug-in and charge without hassles, you want amenities. And you want this all without dealing with a membership card, fob, or app (especially if it's cold and/or rainy). You want to pull-in, plug-in, charge up, and drive on. You want all this with minimal waiting, minimal hassle. WiFi, a cup of coffee, and a meal option would be nice too. With most EV charging networks you need to have a membership card, a fob, or an app to sign into the network before you can charge. This is at best a minor inconvenience and at worst a hurdle or point of failure. The card reader may not be working, your phone might not have a signal for a network connection that the app needs. These can prevent you from charging or at least slow you down while you swipe, tap, or scan QR codes to initiate a charging session. With Tesla's Supercharger network, the car is your membership card. When you plug in, the vehicle and the station communicate and authorize (or not authorize) the charging event. There's no membership card to swipe, no RFID to tap, nor QR code to scan. It just works and you can avoid the jungle of charging cards. This is how all the networks (fast charge or Level 2) should operate. Today, Tesla is the only EV charge-provider that has the "It Just Works" formula for a great charging experience. To implement a "your-car-is-your-card" system for other networks it would require the charging stations and vehicles to have an agreed communications protocol to exchange the car's unique id (such as a salted hash of the VIN) from the vehicle. The communication would need to be secure. You would not want someone to use a forged id and have their charging fees sent to another account. As far as I know, none of the standard charging standards (J1772, CHAdeMO, or CCS) support any such communication option. Rather than revamping the existing standards, another option is for the automakers to adopt Tesla's charging scheme. This sounds like a good topic to cover in our next article.